It’s Day #5 of Sneaky Peek Week. Are you excited yet? Only Three days left before our NEW Release becomes available on October 18. Today, we are sneaky peeking a set brought to you by the artist who draws our Long-eared Bunny. This time around, she’s gotten into the coffee and tea craze, too. This set is called “This Could Be Vodka” and it pairs perfectly with our NEW Cups CutUps Duos Die. And, if you want a little sass, this set is for you. Now, let’s take a look what The Cat Pack and our Special Guest Designer did with this set. First, our Special Guest Designer, Jodi Collins creates a FABULOUS card using some of the small design elements in this set. You can stamp and color up a storm with this set. Need a quick but fun card? This card by Deborah Anton uses the bunny in a tea cup for her card. She uses the NEW Scalloped Duos Die to place it in. Don’t you just love the extra stitching detail that the cutout has? And, what could be quicker to decorate the cup than a die cut? Julie Elak‘s card is just too pretty. She creates the patterned paper with some of the little stamps in the set and die cutting the cup, gives her more time to color. 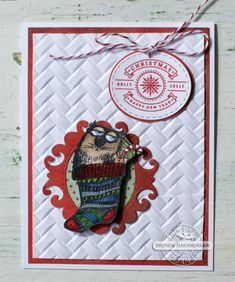 How about this sweet card by Christine Okken? She uses another of the NEW Cups Duo Dies to cut the cut and the insert for different look. Brenda Nakandakari creates a retro slider card using the NEW Roller CutUps. Isn’t the cup just darling with the flower insert. It’s easy to get different looks with our NEW Duos CutUps. Check out the video. Want to see more of this set and our dies? Check out the Special Guest Designer and members of our Cat Pack’s blog for a closer look. Are you IN IT TO WIN IT? For a chance to win a $10 gift certificate to The Cat’s Pajamas store, leave a comment on each of the Designer’s Sneak Peek posts, including The Cat’s Pajamas blog. Each day, a winner will be randomly drawn and will be announced on the TCP Facebook Page and this blog the following day. It’s Day #3 of Sneaky Peek Week and that means that there are only FIVE day left before our NEW Release becomes available on October 18. We love our funny and cute cards, but sometimes we want to send out pretty cards, especially for the Holidays. With that in mind, we put together “Winter Style”. I think you will agree that this stamp set is stylish and elegant. “Winter Style” is a big set, jam-packed with stamps and is versatile enough to use all year round just by changing out the sentiments. Nancy Thomas puts together a throughly modern Holiday card using “Winter Style”. With a simple watercolor background and embossed florals and snowflakes all that is needed to finish off the card is a sentiment and a modern snowflake. Deborah Anton turns the organic florals in the set on its head to hang these pretty ornaments from. She’s varied the ink on the florals for even more interest. Wendy McGaffey‘s STUNNING card is elegant to the extreme. Her non-traditional color combination of silver, white, red and black is a beauty. “Dreamy” is the word that comes to mind when I look at Christine Okken‘s card. 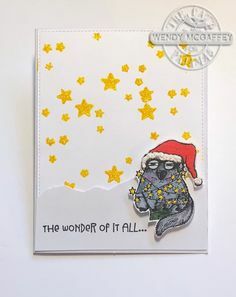 She uses the NEW Hill & Dale CutUps Dies to create a Winter Wonderland and stamps the stars on vellum for even more dimension. Finally, Christine adds the NEW Joy CutUps Die. This die is FREE with any order over $65. It’s Day #2 of Sneaky Peek Week and I hope you are excited as we are about our NEW Release coming on Oct 18. Today, we are sneaky peeking a set featuring our favorite long-eared bunny called “Santa is Coming”. I hear that it has already snowed in some parts of Canada, so this set is right on target. Nancy Thomas kicks off the peeks with her DARLING card featuring the Lightbulb Bunny and another of our NEW dies, the Scalloped Duos Die. We’ve designed our NEW Duos Dies so that you can use them in lots of different ways. Here, Nancy cuts a frame that is the perfect backdrop for our little bunny. We LOVE, LOVE, LOVE this card by Jessica Rone. She colors up the long eared bunny in such a great way. I think a spotted bunny is so much fun. Finishing off her card is another of our NEW CutUps, Hill & Dale. It’s actually 2 dies that you can layer on top of each other to create a scene. “Santa is Coming” has 3 different bunnies and Brenda Nakandakari‘s card features the Celebrating Bunny in a sweet shaker card. Christine Okken colors up the sledding bunny so beautifully. Her card uses one of the NEW Hill & Dale dies and the NEW Roller Die. With this die, you can make the image roll or slide. It so great to see this sweet bunny sliding down the card. Special Guest Designer Anita Madden uses the Lightbulb Bunny , the NEW Roller Die and one of the NEW Hill & Dale CutUps Dies to create her scene. The Hill & Dale dies are long enough so that you can use it horizontally or vertically. It’s a really versatile set of dies that you will reach for again and again. We’ve been taking a wee break over here at The Cat’s Pajamas, getting our mojo back and enjoying the Summer. Now, it’s time to show you what we’ve been working on all this time, on this first day of Sneaky Peek Week. The best way to kick off any day, is with a cup of coffee. So, this set is called “Big Cups”, because that’s where I like my coffee. And, it’s the perfect way to kick off TCPTuesday, with a beverage challenge. Coffee is my absolute go-to beverage, and tea is what I reach for next, and this set celebrates both. With our favorite Cat and Pooch AND the Penguins, this set comes complete with the sassiest of sayings. This set and the stamps and dies you see featured this week will be available on October 18. It’s not Friday, yet, but don’t let that stop you from enjoying this cheerful card by Nancy Thomas. She pairs a snoozing Poochie with one of our NEW Dies, our Cups Duos CutUps. This fabulous die set comes with 3 different cups and 3 different inserts giving you even more versatility. We know that sometimes you just have to get that last drop of coffee before you start your day, and so does our little penguin. This card by Christine Okken is made even more fun with our NEW Roller CutUps. It’s easy to bring a smile to a face when this penguin rolls down the track. Julie Elak colors up the rest of the penguin gang for this card. She adds the sentiment and a cup from the NEW Cups Duos CutUps as a finishing touch. Okay, I know you wanted to get a closer look at Sprinkle before her coffee and here she is. Jessica Rone colors her up fabulously from the top of her curlers to the bottom of her bunny slippers. Want to see more of this set? Check out the Special Guest Designer and members of our Cat Pack’s blog for a closer look. Want to join in on the TCPTuesday Beverage Challenge? The winner of TCPTUES324 is KTDesigns. Please contact alma (admin at thecatspajamasrs dot com) to claim your $10 gift voucher. Congrats! It’s Day Four of Sneaky Peek Week and “hump” day! What kind of release would it be without a visit from the Long-Eared Bunny? And this time he’s brought a friend. This set is all about overcoming obstacles and being in complete control. Or at least trying to be. This set and all the rest of the sets, CutUps Dies and Cutables will be available for your purchasing pleasureon March 17. We are kicking the peeks off with this super cute card by Jessica Rone. She’s pulled out all the stops creating this Diamond Fold card using our NEW Diamond Fold Cutable. The mats come in the Cutable files so cutting lots of different patterned paper is a breeze. Here’s a view from the side. 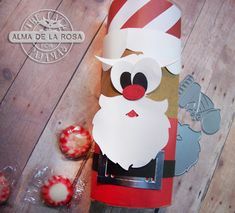 Now if only choosing the paper were as simple as cutting it. Wendy Bond stamped up this gorg card and paper pieced the weights for even more interest. Add one of the sassy sentiments that come with the set and you have a great card. Tammy Hershberger goes a little vintage with her card. With a bunny this cute, you don’t really need much in way of embellishments. But you can still add them. This stunning card by Lori Tecler has a bit of bling and a bit of texture, but the star of the show is her coloring. Let’s close this peek out with this bold card by Lisa Henke. Her “bling” is actually one of the stars from the 3×3 stars and a banner from the Bitty Banner set. And I love the texture that the Chevron plate gives when embossed. Then, hop over to our Forum on SplitcoastStampers and leave a comment. You could win this set. We are giving away something special each day of Sneaky Peek Week. It’s Day Two of Sneaky Peek Week and today we are introducing a brand NEW artist to The Cat Pack Family, Tamara Hess. Tamara has been drawing these sweet characters for a while now, and when I saw them, I knew they would be a perfect fit. This little lion is the very first of what I know will be a whole collection of cute animals. This set and all the rest of the sets, CutUps Dies and Cutables will be available for purchase on March 17. One of the great things about this lion, besides the fact that he is so darling, is he is perfect for coloring. Nancy Thomas pulls out one of the New CutUps for this card, the Wavy Stitched Border. You can diecut the stitched border or use the other side if you prefer no stitching. Wendy McGaffey paper pieces her lion and layers up the Wavy Stitched Border to give dimension. How cute are those eggs tucked in the grass? Wendy Bond rounds out the this peek with her colorful card. It’s amazing how different each of the gals makes this little lion the star of the show. Want to see more of this set? Then check out Lisa Henke, Christine Okken, Tammy Hershberger, and Noelle McAdams. It’s Day #1 of Sneaky Peek Week and I’m so excited about this release. And, it’s TCP Tuesday! The Challenge is “Anything Goes” and it’s a perfect challenge for this very first day of Sneaky Peek Week. Not too long ago, I received a wonderful message from Joyce Casaldi suggesting a set with our characters with coordinating ribbons for awareness that could be colored in different colors. I thought, what a wonderful idea. The ribbon, has come to mean so much. And, its various colors are a perfect way to bring awareness to illnesses and the prevention. So, of course, a set had to be made. And, not just with any character. But, one that is so special to my heart. The long-eared bunny. Lisa Henke stamps up this set and paper pieces the ribbon for Breast Cancer Awareness. 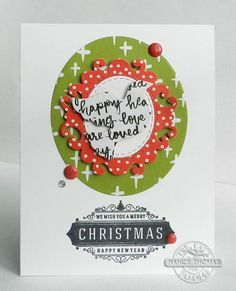 She uses embossing paste and a stencil cut using our Dots CutUps and Stencil Sheets. Christine Okken, brings this set to life by coloring her ribbon in Orange for Leukemia Awareness. She stamps up the background using the ribbon included in the set. Noelle McAdams creates this wonderful flip card for Sarcomas Awareness using our NEW Fancy Flip CutUps. The wonderful bunny adorns the front of the card. And, one of the sentiments, the interior. The Fancy Flip CutUps comes with two different CutUps to adorn the the card. There is also a separate CutUps for smaller versions of the nesting dies. Swanky Stamper, Brenda Nakandari, stamps up this pretty card using one of the sentiments to create this stunning background. Even I had to get my stamp set inky. I used the set and the two new dies with one of our NEW Cutables, the Twisted Easel. 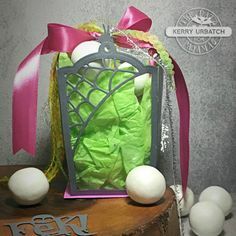 I just love how a simple card can be made special with this easy Cutable. So, simple, I made a quick video to show you. Then, head on over to our In It To Win It Thread at SplitcoastStampers. Just comment in this thread and you could win this stamp set. We are giving away a set a day during Sneaky Peek Week. Happy Release Day! I hope you enjoyed Sneaky Peek Week! It was so fun to see The Cat Pack come out and strut their stuff. They had some truly amazing cards and projects. But, they aren’t finished yet. If you don’t know, it’s also TCP Tuesday. So, the Cat Pack is giving you one last peek at the NEW release AND giving you some inspiration for this week’s challenge in a wonderful blog hop. So, if you came from Kelli’s Blog you have hit the end of the road. If you didn’t then start at Noelle‘s Blog for some great eye candy. Noelle McAdams is our Hostess with the Mostess and her challenge: Make a card that has clouds in it. I love this challenge so I decided to pull out the Hang In There, Baby set and the Slider CutUps and make a slider card. Here is the card completely open. 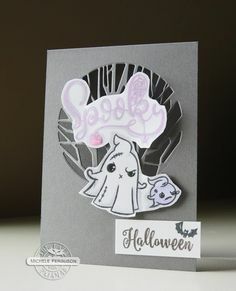 It was so easy to make and such a fun card to make that I just had to share how I did it. Check out my video. I want to thank our Swanky Stampers, Tricia Traxler and Christine Okken. They had some simply AMAZING cards, as did The Cat Pack. Now, that Sneaky Peek Week is over it’s time for you to pull out your stamps and join our TCP Tuesday Cloud Challenge. You could win one of our future releases. Each Tuesday a new challenge will be posted here on this blog as well as on our Splitcoaststampers forum and our Facebook page. If you want to play along you just upload your design using the InLinkz button below*. 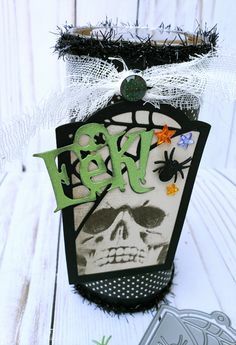 If you want to display your pretties on Splitcoaststampers use keyword TCPTUES262. Only the entries uploaded to the Inlinkz button will be considered for Swanky Stamper at the end of the month. You must have your project posted by Monday, 12 midnight EST to be eligible to win the week’s Cat Cash. Cards and projects must have at least one Cat’s Pajamas Stamp or CutUps die in the project. On the following TCP Tuesday, the week’s winner will be chosen from the previous challenge and will receive a Cat Cash Voucher for $10.00. At the end of the month, The Swanky Stamper will be selected from all the weekly entries. The Swanky Stamper will receive some of the stamps from our next release and get to play along with us at our Pajamas Party and Blog Hop. AND… They’ll even get a special spot in the Gallery highlighting the project that won them the gig and a snazzy badge to display on their blog. The Swanky Stamper will be announced the First Monday of the month on Splitcoaststampers, Facebook page and this Blog. It’s Day #7 of Sneaky Peek Week, and it’s the VERY LAST PEEK before the stamps and dies you have seen this week go up for sale on our website. But, before I go into the peek, I want to extend an invitation to you to come to our Pajamas Party today. It’s a chance for you to see some more peeks. Meet up with the AMAZING Ladies that make up The Cat Pack, and possibly win a gift voucher or two. Just click on the invitation above, and it will take you directly to the party. I have always loved Sprinkle and feel like she is a go-getter, she sees, and she gets. She flys in the face of adversity and soars above the rest. She is no scaredy cat. So, what better place to have her, but flying in on a plane. This set is made up of 3 sentiment stamps and 4 image stamps. The cloud stamps are really whimsical and stamp wonderfully in two of the clouds in the Cloud Border CutUps. “Flying By” will be available for purchase on Tuesday, March 25 along with the rest of the Stamps and CutUps Dies we are Sneaky Peeking this week. 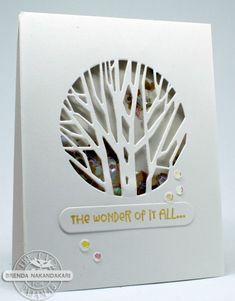 Let’s start off with Nancy Thomas, her wonderfully colored Sprinkle is just perfect with all the different papers that Nancy chose. She uses our NEW Framed Up 2 CutUps and mixes in the Big Scallop Border, the Dots plate that she embossed and the Cloud Border stamped up with one of the clouds. Just FAB! Lisa Henke flys in with the awesome card. Her coloring is wonderful and the highlights she puts on the goggles just crack me up. Most of all, the open circle from the Framed Up 2 CutUps puts the focus on that crazy cat. Wendy McGaffey‘s card is just too cute. Her choice of paper and Sprinkle and the saying in the clouds are so thoughtful. Tricia Traxler’s card feels almost vintagey, with her soft color palette. It almost has an Instagram quality that is just so appealing. This card by Christine Okken has a lot of “WOW” factor. I know this because that is what my mouth kept saying over and over. And, over. I just love her interpretation of the slider and the saying on the front and inside. Did I mention, that the “Some Kind of Wonderful” saying is one that Jessica Rone posted on her Facebook page? She is some kind of inspiring. Kelli Hull card makes my heart soar. She mixes paper piecing and coloring and for an added twist, uses a bit of Airmail Divine Twine. Brilliant. Julie Masse‘s happy card uses bright fun colors. She uses the open circle from the NEW Framed Up 2 CutUps and layers it over the Heart Rosette for a fresh new look. Thank you for joining us during Sneaky Peek Week and a BIG THANK YOU to Tricia Traxler and Christine Okken for joining us and creating such wonderful cards for our peaks. Don’t forget to stop in for our Pajama Party and Tomorrow’s Blog Hop! And don’t forget to play along in our In It To Win It Contest on Splitcoaststampers. Just comment in this thread and you could win. We are giving away a set a day during Sneaky Peek Week.